Anti-corruption arrests were staged to help his 2009 election, says author Louis Manzo. Back before Bridgegate, back before he was elected governor of New Jersey, there was other questionable behavior by Chris Christie, involving his nearly seven years as US attorney for the state. Now one of the men indicted during a corruption crackdown set into motion by US Attorney Christie—and which played out while he was running for governor in 2009, in a way that was very helpful to Christie’s campaign—is getting his say. Louis Manzo, a Jersey City politician, was first indicted by the US attorney and arrested by the FBI, then cleared of all charges by a federal judge. In April, Manzo released a book detailing extensive allegations about Christie’s political and law enforcement career. In the book, Ruthless Ambition: The Rise and Fall of Chris Christie, and in an interview with Christie Watch, former New Jersey State Assemblyman Louis Manzo lobs some explosive charges against the governor, saying that his prosecutions as US attorney were designed to decimate key Democratic political machines and pave his way to the governor’s mansion. And Manzo says current revelations arising from Bridgegate indicating that staff in the governor’s office coordinated with campaign people to help re-elect Christie resemble the “same pattern” from his US Attorney days. The culmination of that strategy, which is the focus of much of Manzo’s book, was the political sting operation, dubbed Bid Rig III, just four months before the 2009 gubernatorial election. On one day, dozens of Democratic politicians from the key Democratic stronghold of Hudson County were arrested and charged with various types of political corruption. Christie had set the sting in motion long before, when he agreed to allow one Solomon Dwek, whom the feds had caught red-handed conducting bank fraud, to strike a deal on his conviction in exchange for trying to lure politicians into corruption. Like an unguided missile, Dwek was dispatched to Democratic Hudson County to see which politicians he could convince to accept bribes in exchange for political favors. 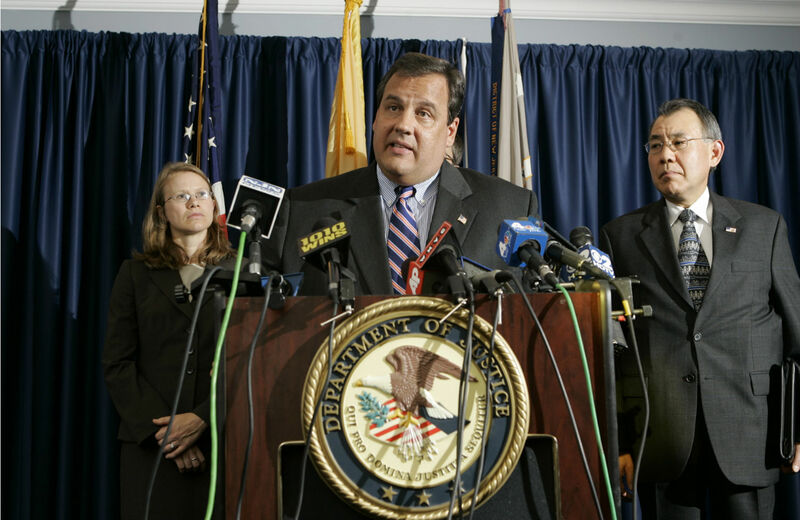 Although Christie had left the prosecutor’s office months earlier to run for governor, his close associates were still there and they fast-forwarded the arrests to ensure that they occurred before the election, writes Manzo, citing newspaper accounts and a book, The Jersey Sting, written by journalists Ted Sherman and Josh Margolin. Manzo was not an outside observer of Bid Rig. He and his brother, Ron Manzo were swept up in the arrests. Manzo, a former state assemblyman, was at the time making one of his five runs for the office of mayor of Jersey City. The US attorney’s office charged that Manzo accepted money in exchange for vague promises to help Dwek on amorphous real estate developments. Three times the US attorney’s office tried to make the case stick and three times judges threw it out, on the grounds that Manzo was not an elected official at the time and thus could not make promises to use his office to help someone who offered him money. It took Manzo until 2012 to finally clear himself, but not before he had cleaned out his bank account, losing his house and reputation. Manzo pulls together much of what has been in the press and elsewhere about Christie’s indictments against Democrats. But he also has some interesting FBI interview summaries that he says were left on his doorstep. “When we needed documents and were denied documents by the prosecution,” he says, “those documents were delivered to my doorstep with a whole bunch of other incriminating documents that I list in the book.” Manzo suspects they came from investigators unhappy about what they saw happening. The documents, and some court transcripts Manzo details, show that a number of leading Republican officials were also involved in activities with Dwek, but interestingly they all escaped the net of the US attorney’s office. They included two Republican Party chairmen in Republican counties and a former state Republican chairman who later ran for the Senate. These documents also indicate that prosecutors had information clearing a top member of Democratic governor John Corzine’s administration of any wrongdoing, even before his home and office were raided in a highly publicized action on the day the sting arrests of others took place. The official, Joseph Doria, resigned that day but the raid, which left Doria wondering if he was to be arrested too, had already damaged Corzine’s image in the midst of the campaign. It was two years before another US attorney sent Doria a letter clearing him of any wrongdoing. In the end, of those caught up in the Bid Rig III sting, thirty-four people pleaded guilty, four were convicted, two were acquitted and four had the charges against them dropped, including Manzo.